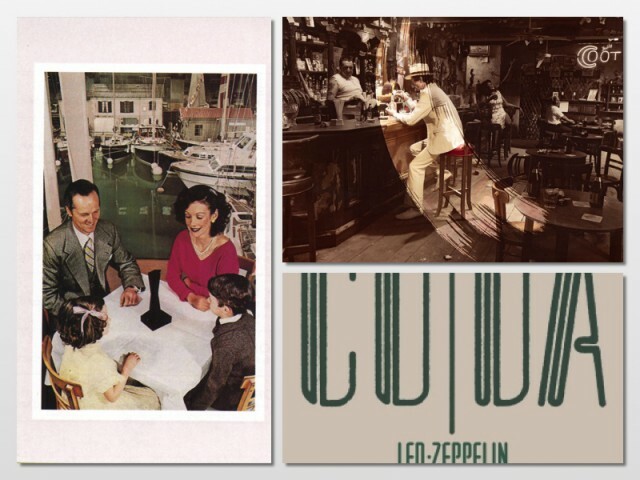 The Led Zeppelin reissue program that started last year comes to a close with the re-release of the band’s final three studio albums Presence, In Through the Out Door and Coda. Those particular latter- records in Led Zep’s career perhaps haven’t garnered the rapturous attention from the critics in their time and since then compared to the band’s earlier work—yet these reissues with their bonus companion music (consisting of rough and references mixes as well as previously unreleased original tracks) really makes one appreciate them more. Presence (1976) is the perhaps the most overlooked album as it wasn’t the band’s biggest seller (it only sold 3 million copies). In contrast to Houses of the Holy and Physical Graffiti, Presence was more straight ahead rock, and while it didn’t generate a huge smash hit song of the caliber of “Whole Lotta Love” or “Stairway to Heaven,” Presence still had some strong songs: the very adrenaline-driven “Achilles Last Stand” and “Nobody’s Fault But Mine,” the pseudo funk of “For Your Life,” the jagged “Hots On For Nowhere,” and the rockabilly-tinged “Candy Store Rock.” The good thing about this reissue is that it puts Presence in a new light; along with references mixes of some of the songs, the bonus disc consists of “10 Ribs & All/Carrot Pod Pod (Pod),” a very eloquent and pretty piano-dominated instrumental power ballad—it’s a jewel and it’s really nice to hear almost 40 years after the fact. By the time In Through the Out Door (1979) was released, punk rock had erupted, threatening to put the arena bands from an earlier generation like Zep out to pasture. Perhaps that’s why the sound on this record had moments of a New Wave sheen due to the emphasis on synthesizers (perhaps reflecting the influence of bassist/keyboardist John Paul Jones) and with Jimmy Page’s guitar pyrotechnics kind of downplayed this time around; Out Door had even more pop-friendly moments, like on the joyous-sounding “Fool in the Rain” and the wistful ballads “All My Love” and “I’m Gonna Crawl.” Not to say that the band abandoned its brand of muscular rock altogether as was the case with In the Evening and “Carouselambra,” but Out Door did sound like the band – perhaps influenced by punk – was experimenting this time around and trying to find its footing. In other words, this might be the closest to an accessible Led Zep album for a wider mainstream audience. The bonus disc consists of rough mixes of the album’s seven songs, which don’t depart much from the original versions—you have to have a really discerning ear to tell them apart. Of course, any indication of what the band might have sounded like after Out Door was dashed with the death of drummer John Bonham on September 25, 1980. Two years later, the band released its final album of then-original recordings, the appropriately titled Coda (1982), which consisted of recordings mostly from 1970 and 1978 during the Out Door sessions. Like Presence, Coda never really got its due, maybe because of the way it was assembled. In retrospect, there’s some really great material that captured the different sides of the band: from the blues of “I Can’t Quit You Baby,” the blistering rock of “We’re Gonna Groove”; the country folk of “Poor Tom”; “Bonzo’s Montreaux,” a drum instrumental that served as a fitting tribute; the soulful ’50s-styled rocker “Darlene” and the really heavy “Wearing and Tearing” that perhaps should have been on Out Door. Now the original 8-track release becomes exponentially better with two bonus discs of previously unreleased material with a lot of archival surprises; the first one contains mostly music that was released on the Led Zeppelin boxes, including the popular B-side “Hey Hey What Can I Do,” the BBC recording of “Traveling Riverside Blues,” and “Baby Please Come Home.” Also on this first companion disc includes the haunting country blues rock of “If It Keeps on Raining” from 1970, which is an early version “When the Levee Breaks”; and the somewhat whimsical “Sugar Mama,” with typical anguished Plant vocals, from 1968, which could have been a contender for Led Zeppelin II. More surprises are found on the second Coda companion disc: the first two songs “Four Hands (Four Sticks)” and “Friends” draw from 1972 performances with the Bombay Orchestra, reflecting the band’s penchant for Indian/Middle Eastern world music sounds. “St. Tristan’s Sword” from 1970 is a hard-driving rhythmic instrumental rocker – in the same vein/feel as “Over the Hills and Far Away,” while the rough mix of “Walters’ Walk” reveals its explosiveness without the vocals.